Fall is just around the corner. The light is slowly changing every day. We are enjoying the summer bounty while it lasts. 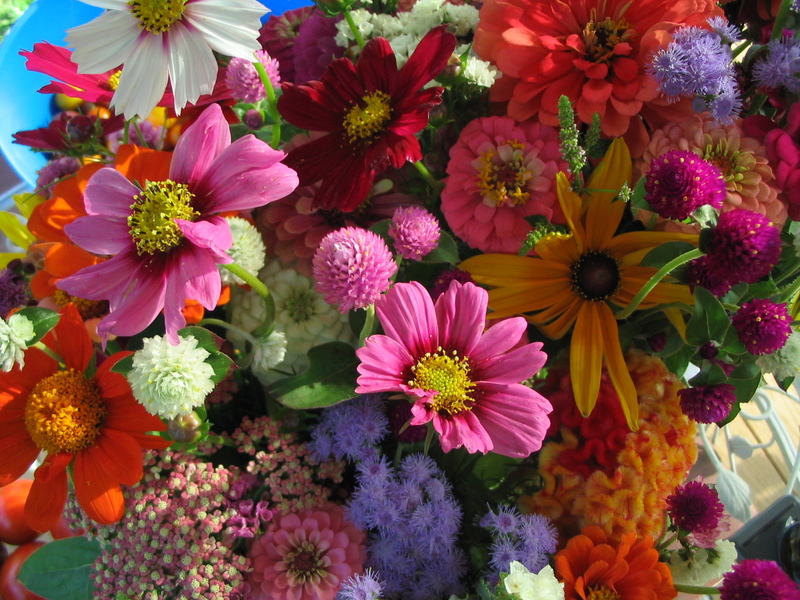 These cheery bouquets will not be here forever. The flowers are so beautiful. I really enjoyed the squash photos, too. I’ve heard they are very good but have never researched doing it. Now I know!